People who love the Winter Olympics and especially short track speedskating may be surprised to learn that unlike most winter events it hasn’t been around that long. Short track speedskating began in Canada and the United States and was first introduced in 1988 in the XV Olympic Games in Calgary, Canada. It quickly became a fan favorite and a hotly contested sport. So much so, it became an official event in the 1992 Winter Olympics in Albertville, France. Short track speedskating is as exciting as it gets with each skater’s fate riding on a razor’s edge at every curve. Devastating crashes in the last turn can take out the leaders and give gold, silver and bronze to skaters who were out of medal contention until that life-changing moment. Blink and you may have just missed the most exciting race ever. Here are the top short track speedskaters in Olympic history. The top medal winner for short track speedskaters is Viktor Ahn, formerly known as Ahn Hyun-Soo when he competed for South Korea. He holds eight short track medals: six gold and two bronze. He won medals for the South Korean team in 2002 and 2006, but did not qualify in 2010. 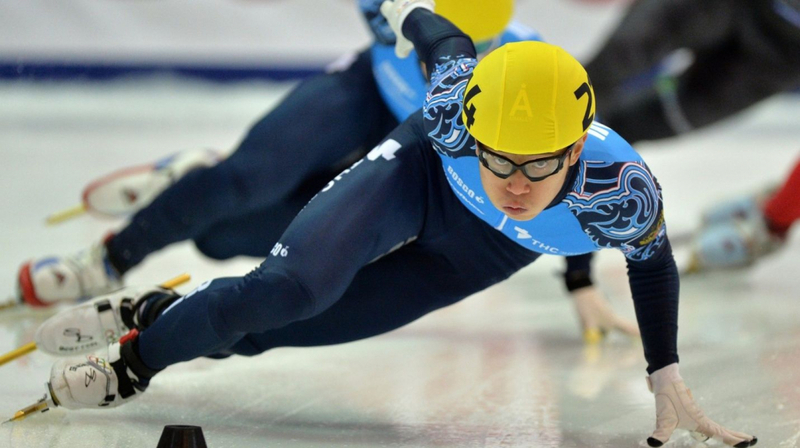 Due to political infighting in the South Korean National Team, Ahn moved to Russia to train and compete for Russia in the 2014 Sochi games, winning the first Russian gold medal in short track. That year, he became the first Olympian to win gold in all four short track speedskating events: the 500 m, 1000 m, 1500 m, and the 5000 m relay. Ahn planned to retire after the 2018 PyeongChang Winter Olympic games, but he was banned with other Russian athletes due to alleged links to the Russian doping scandal. The International Olympic Committee (IOC) declined his request to represent South Korea.